Stylish design produced chair with distinctive decorative back panel. 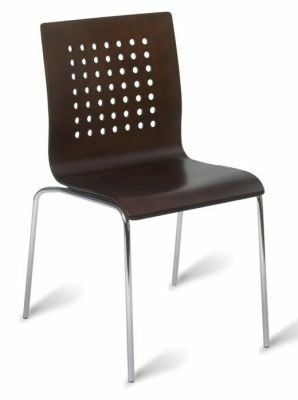 Finished in Wenge or Beech and supported by durable Chrome legs. 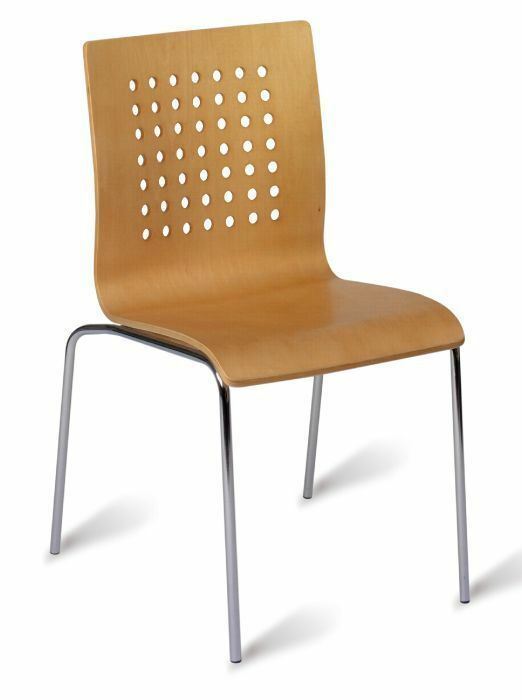 Designed for use in a domestic or commercial interior. 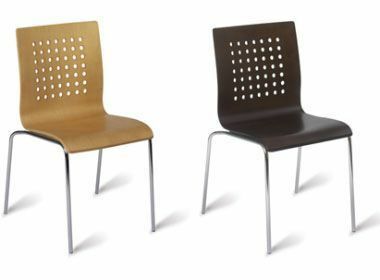 Santana café chairs are held in stock for a rapid delivery and are designed for use in commercial applications. 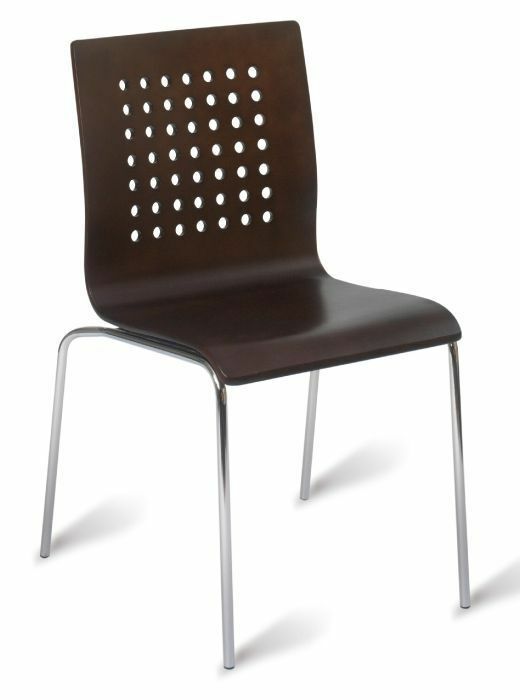 The polished chrome legs support a stylish shell including feature decorative slots.